The rate will be $125 per night single/double. A credit card guarantee for the first night’s room and tax is due by August 18, 2017. Individuals must identify themselves as part of NARMH Overflow at the time of making reservations in order to be eligible for the special group rate. Please call (800) 445-3339 or (619)-222-6440 to make reservations. Resort fee will be waived (includes parking and wi-fi). Hotel will provide complimentary shuttle service to and from Host Hotel on Wed-Fri; sign ups at front desk for designated times. Rates available 3 days post; subject to availability. Rooms will continue to be held until the final cutoff date of August 18, 2017. Super Shuttle one way from airport $10. The following is a link for a $2 discount for the Super Shuttle. http://www.supershuttle.com/?gc=hilto&port=SAN&Property=14400. 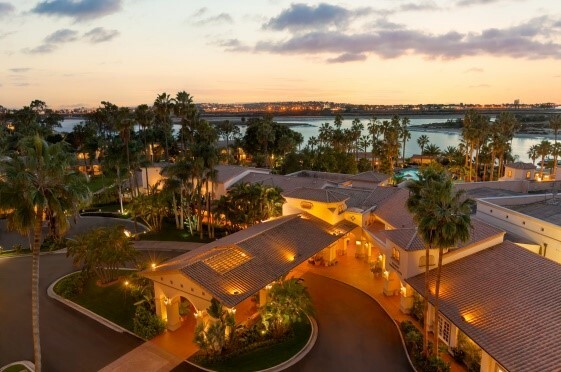 You may also call 1.800.258.3826 to make reservations and mention you are with the HILTON SAN DIEGO RESORT & SPA and use the group code (HILTO). Discount will not be applied if this information is not provided to phone agent. Taxis and executive cars are also available. From San Diego Int'l-Lindbergh Field - Take I-5 north to Sea World Drive, turn left at the top of the exit. Turn right on East Mission Bay Drive. The resort is 3/4 mile on the left. Distance from hotel: 6 miles. The daily resort charge of $29.00 is waived for our group.